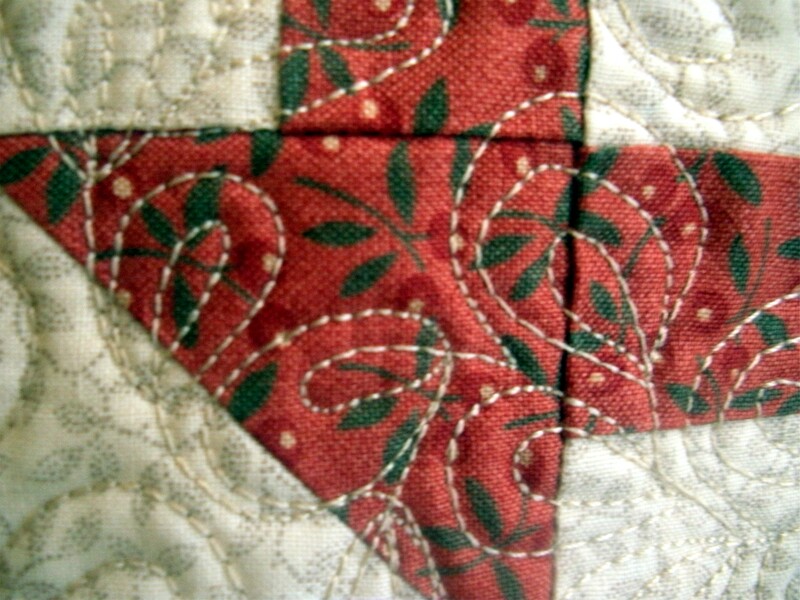 July | 2010 | Quilting my way through life! Today I received these lovelies from Sulky of America! I am currently using Sulky’s 12 wt. cotton thread to make some of these, ain’t she cute? You should see her brothers! They’re both from my new Ginger Bliss pattern. They are part of several projects; a 56″ square tree skirt, a 24″ round tree skirt shown here appliqued on wool, and a table runner. Visit my website to see/purchase them. I absolutely L-O-V-E the way this thread makes my applique POP! Sulky’s 30 wt. cotton threads I use to make my quilting stand out. 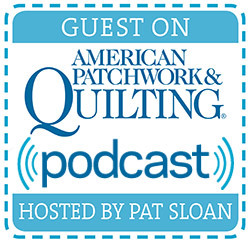 Now that I’ve become a better machine quilter, that’s a good thing! This sample is a table runner from my Wheels & Dashes pattern, also available on my website. 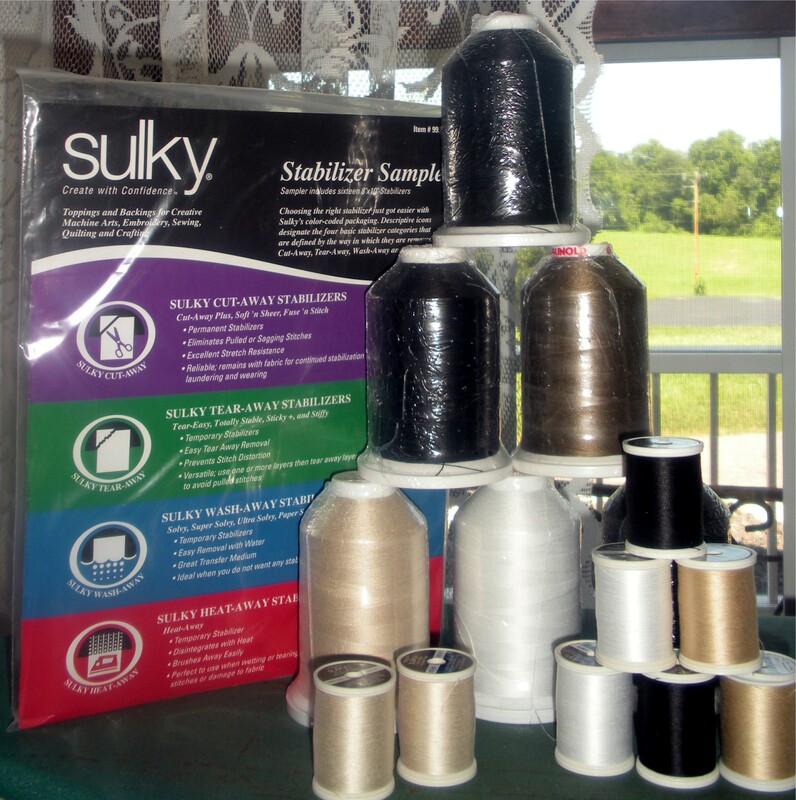 The package pictured with the threads is Sulky’s Stabilizer Sampler. It contains four different stabilizers; Sulky Cut-Away, Sulky Tear-Away, Sulky Wash-Away & Sulky Heat-Away. 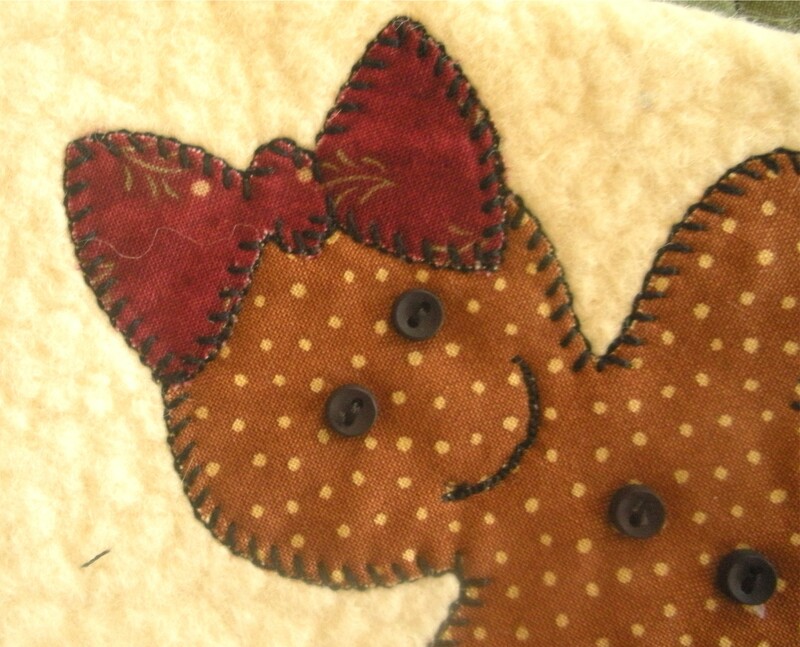 I don’t use a lot of stabilizers even though I applique a LOT, but there are times it’s absolutely necessary. I’m going to try these out, hopefully soon, so stay tuned.